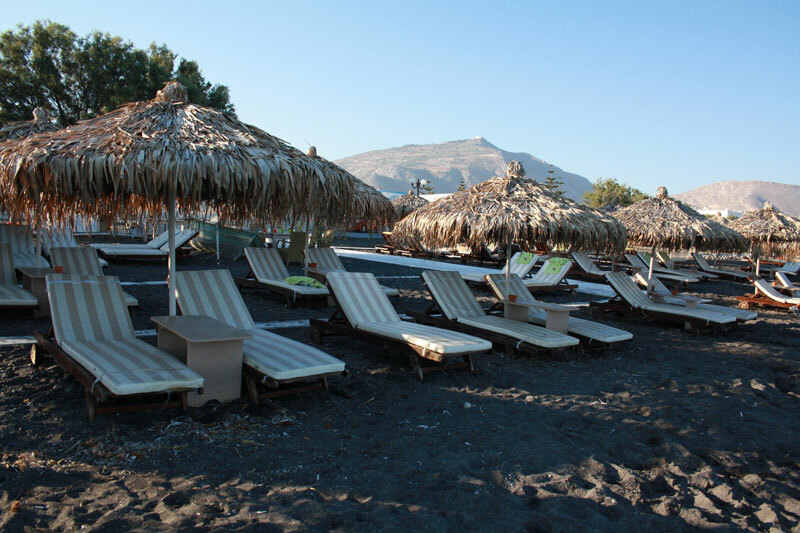 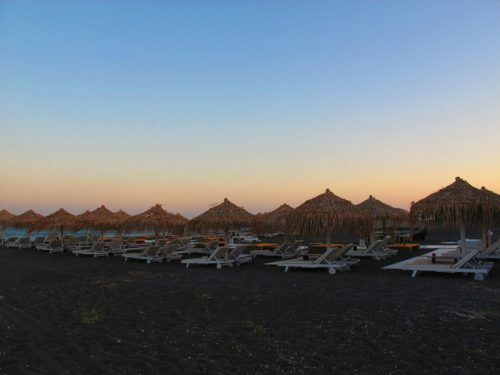 Perissa Beach is one of the best beaches in Santorini that lies next to Emporio village and is an impressively long beach with dark smooth sand and crystal clear waters. Always a good choice on windy days as the Profitis Ilias mountain protects this beach from the ‘Meltemi’ (summer winds). It is located 10 km southeast of Fira. 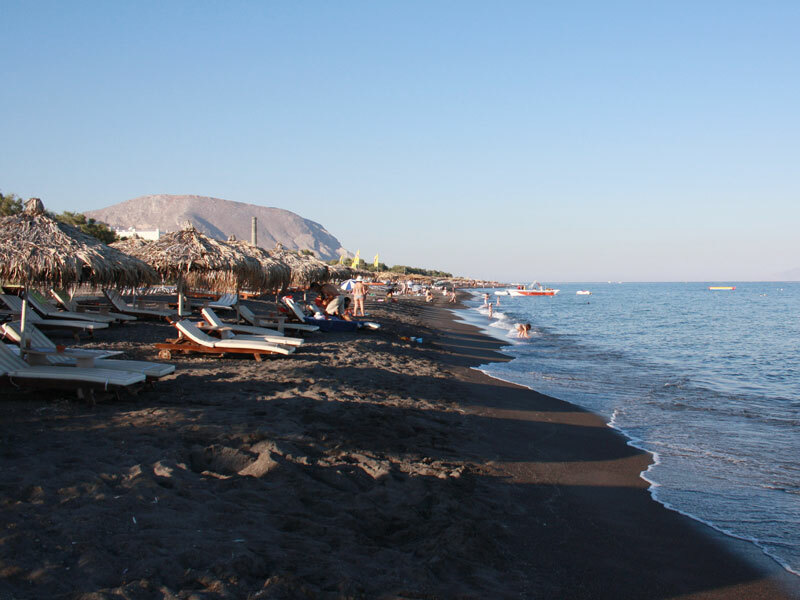 Perivolos Beach is a well-organized beach with several beach bars, cafes and restaurants ensuring summer-day clubbing, volley ball playing and other sports activities while sunbathing and enjoying the sea. 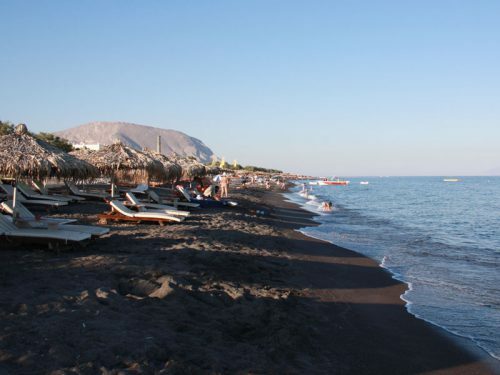 This beach is amazingly calm and is the longest beach in Santorini. 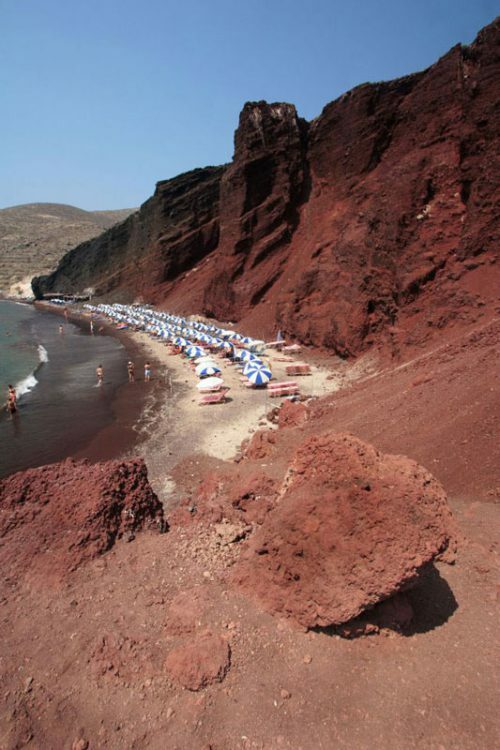 It is located 10 km south of Fira between Vlihada and Perissa. 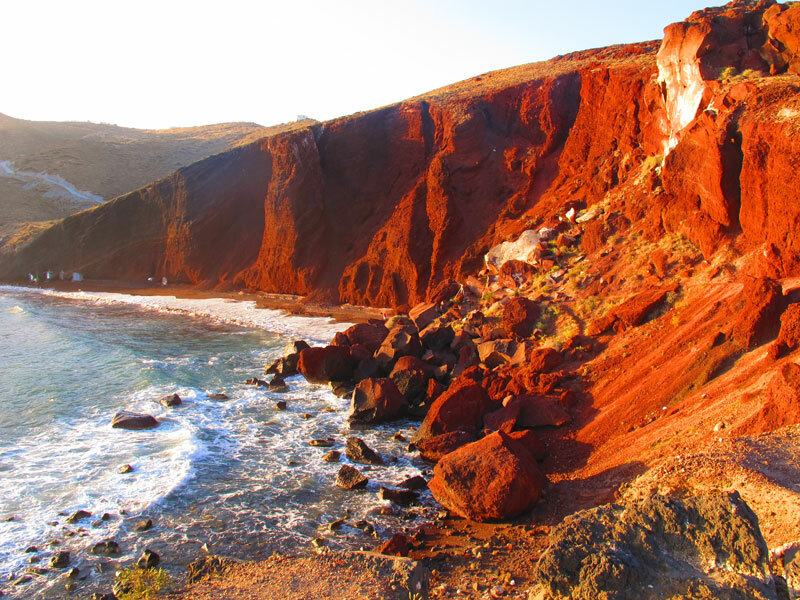 Red Beach is a ‘must-see’ during your stay in Santorini: a beautiful beach with dramatic surrounding landscape and uniquely coloured sand. Red and black lava cliffs soar above and fall into the clear waters. 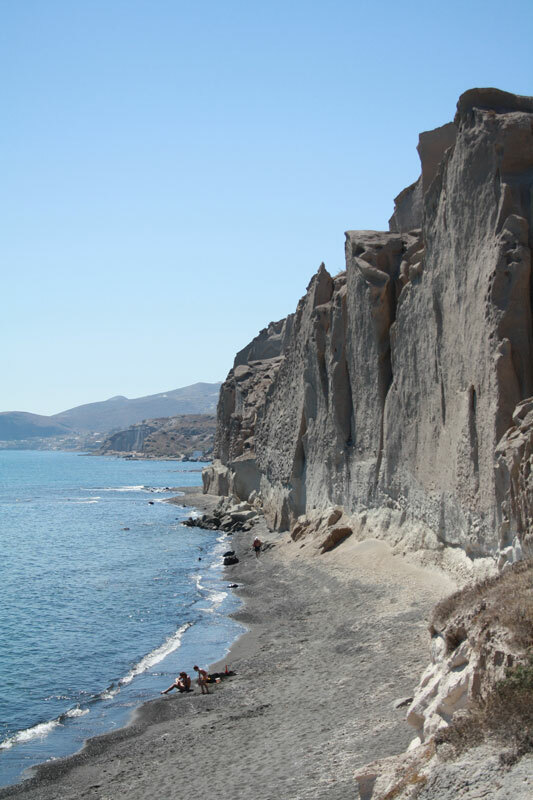 It is located 12 km west of Fira and access is either by boat (small taxi boats depart from Akrotiri and Fira ports) or on foot.